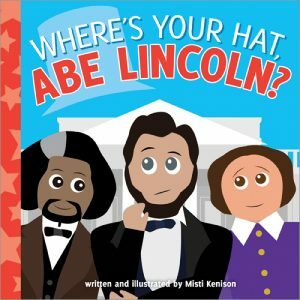 28 page board book, part of the Young Historians series, Abe cannot find his signature tall stovepipe top hat. Rather than presenting the board book with lift-the-flap pages to reveal where the top hat might be, Kenison’s chosen to use the book as a way to also show youngsters what Lincoln’s contemporaries were doing during the time period of 1845-1881. Kids will get a glimpse of Frederick Douglass writing a book, Clara Barton aiding Union soldiers, as well as Thaddeus Stevens, Harriet Tubman, Ulysses S. Grant and Robert E. Lee, Sojourner Truth and William Seward. After Abe’s search has come to a successful conclusion, he travels to Pennsylvania to give his Gettysburg Address only to be greeted by all the other famous people who have filled the book. Parents, caregivers and teachers will appreciate the back matter timeline and brief descriptions of all the individuals included in Where’s Your Hat, Abe Lincoln? 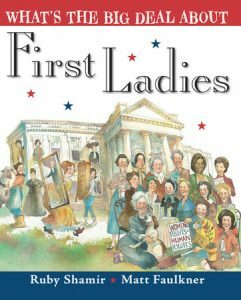 and can use the book as a way to share Lincoln’s most important first line from the Gettysburg Address that ends with “… and dedicated to the proposition that all men are created equal.” Pair this with Kenison’s Young Historians board book, Cheer Up, Ben Franklin! for another great addition to your home library. 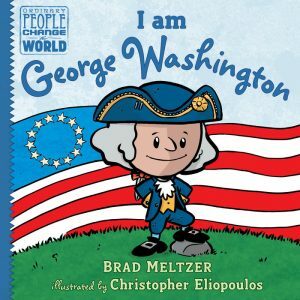 For Presidents’ Day 2017, let’s take a look at Brad Meltzer’s I am George Washington, another terrific biography in the popular and entertaining Ordinary People Change The World series. These books serve as a great introduction to some of the world’s greatest heroes and historical figures while emphasizing that individuals are not born into greatness but work hard to achieve it, earning the public’s trust, respect and admiration along the way. 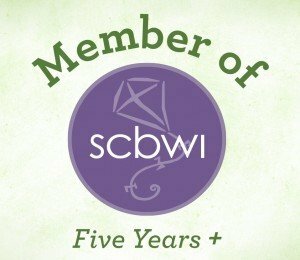 Each person depicted in the series has demonstrated proven leadership skills or unique knowledge making them worthy of inclusion. The fourth of nine children, George Washington had great people skills, something needed in a large family, and eventually, to run a nascent country. Back when Washington was growing up, there was no U.S.A. yet, only colonies ruled by Great Britain. Readers will learn how Washington’s older brother Lawrence, fourteen years his senior, had a positive impact on his younger brother. In fact, a soldier himself, Lawrence influenced Washington’s decision to serve in the military. When his father died, Washington’s family could no longer “afford proper schooling so my brothers had to teach me at home.” At sixteen, Washington worked as a surveyor in the Shenandoah Valley with a wealthy family called the Fairfaxes. They treated him kindly and exposed him to the finer things in life. Yet, despite the opportunity to hobnob with the rich, Washington never forgot his roots and all the people less privileged than the Fairfaxes. He later fulfilled his childhood dream by joining the military, showing bravery and leadership in battle and being made “commander of all Virginia’s fighting forces.” George Washington also ran for office, and though he lost at his first attempt, he won all future elections. 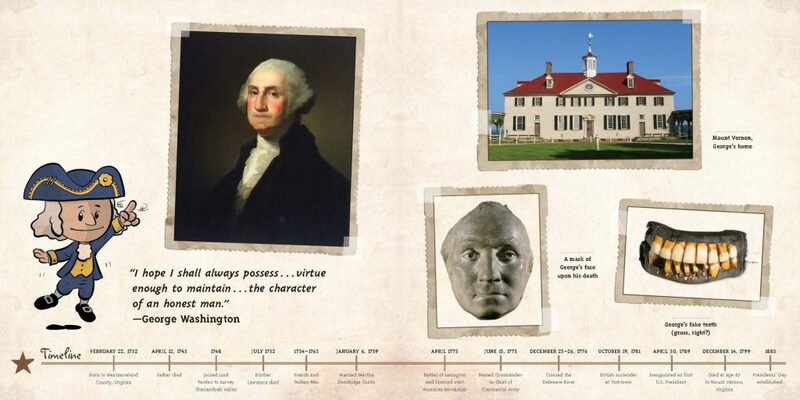 Interior spread of George Washington Timeline from Ordinary People Change the World: I am George Washington by Brad Meltzer with illustrations by Christopher Eliopoulos, Dial Books ©2016. When the American Revolution began in protest against high taxes imposed by Britain, “Our thirteen colonies decided we would fight together against King George III.” Washington was chosen to lead the battle. Cleverness, determination and unparalleled leadership helped the less experienced military of the colonies defeat the mighty British led, of course, by General George Washington. 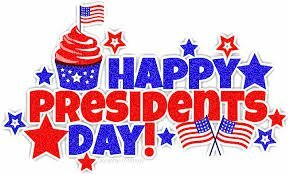 And the rest, of course is history, with Washington being selected as the first president of the United States of America. What I love about Meltzer’s writing and Eliopoulos’ artwork is that they make learning about these important people so accessible, interesting and fun. Who doesn’t love seeing a miniature George Washington on every page or having him narrate his life’s story? Picking out the most relevant aspects of any individual’s life is never easy and to condense them into a picture book biography for elementary school aged kids and still be meaningful takes a lot of experience, something best-selling author Meltzer has lots of! The choice of Eliopoulos as illustrator is just icing on the cake and I cannot imagine this series with any other style artwork. And did I notice author Meltzer drawn into one spread near the end? See for yourself and let me know. “Leadership doesn’t come from charisma or personality. The courage to do what’s right. The courage to serve others. And George Washington, the father of our country, had enough courage for an entire nation and we celebrate him today. 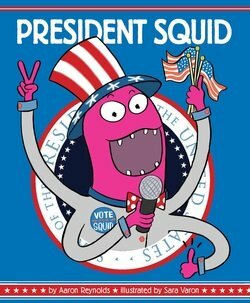 This review first posted in in 2012 (hence the different date of Presidents Day), but I felt it was worth reposting again today. Tomorrow, February 22nd, is our founding father’s birthday. 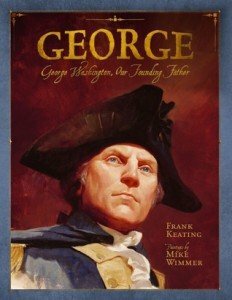 Since I probably learned about America’s first president over 40 years ago, I decided to revisit some children’s books and found George: George Washington, Our Founding Father by Frank Keating with paintings by Mike Wimmer ($16.99, Simon & Schuster/Paula Wiseman Books, ages 6 and up), to be one worth noting. George: George Washington, Our Founding Father by Frank Keating with illustrations by Mike Wimmer, Simon & Schuster/Paula Wiseman Books, 2012. The author, former Oklahoma governor Frank Keating, shares this story, part of the Mount Rushmore series, in first person so readers will feel an immediate connection to Washington’s life in Virginia. The fifth of ten children, Washington was expected to leave school at 15 years old to assist his widowed mother; his father having died four years earlier. From an early age young Washington displayed strong moral fiber, writing a list called The Rules of Civility originally taught to him by teachers, the principles of which would guide him throughout his life. I had not remembered that Martha, whom he married at age 27 was already a widow with two children although it’s not surprising considering the average life span then was around 37 years old. I liked that the author chose to include various rules from Washington’s list helping me to learn more about what shaped this influential man even prior to becoming commander in chief of the armies or our nation’s first leader. The award-winning artist, Mike Wimmer, has brought Washington to life through his use of oils painted on canvas in this wonderful picture book. To capture the president in the 18th century so accurately, Wimmer used models, period costumes and a lot of research. He has succeeded in portraying Washington’s life in an engaging, almost photographic-like way and his paintings truly complement Keating’s succinct narrative . 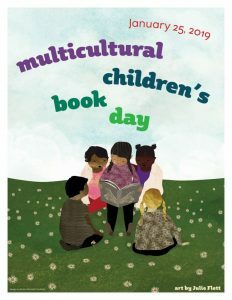 This book would make a great addition to any school or local library’s American History section as its message is timeless. Rule 1: Every action done in company ought to be with some sign of respect to those that are present. Rule 73: Think before you speak. Pronounce not imperfectly nor bring out your words too hastily, but orderly and distinctly. Now these are great rules to live by! 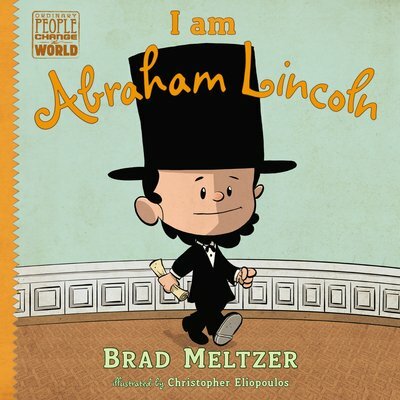 I am Abraham Lincoln, by Brad Meltzer. I am Abraham Lincoln by Brad Meltzer with illustrations by Christopher Eliopoulos, Dial Books for Young Readers, 2014. In January, reviewer MaryAnne Locher reviewed I am Amelia Earhart by Brad Meltzer with illustrations by Christopher Eliopoulos and discussed what makes a hero. 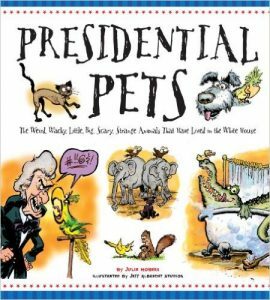 Today, on our 16th president’s birthday, I thought I’d share Meltzer’s other book in the new Ordinary People Change The World series from Dial Books for Young Readers ($12.99, ages 5-8), I am Abraham Lincoln, and discuss what makes a great human being. What is it that makes Abraham Lincoln one of the most admired, quoted and famous individuals in American history? Clearly it’s because stories of Lincoln’s life demonstrate he was a role model, a voice for those who could not be heard. In I am Abraham Lincoln, one of the first titles published in the new Ordinary People Change the World nonfiction series, author Meltzer introduces us to the young Lincoln, a boy who early on felt strongly about right and wrong and didn’t hesitate to say so. From a young age, Lincoln preferred reading to working on the farm. He defended the rights of animals when he saw boys behaving cruelly to a turtle and actually composed one of his first essays – “about how hurting animals is wrong.” When most kids of that era did not even attend school, Abe was determined to learn and spent time teaching himself to write. “I loved books so much, I once walked six miles … to get one.” He read every book he could get his hands on and he read everywhere he could. It’s no surprise his love of books would prove to serve him well as he entered public life. Presented in an engaging, cartoon-like style that sets this biography series apart from others, I am Abraham Lincoln, is not only easy to read, but fun, too! What kids will adore is seeing our 16th president as a child, interacting with other children and dealing with issues other children deal with to this very day. And though we know Lincoln as a tall, almost larger-than-life figure, looming over his fellow politicians or his foes, in the picture book he remains small throughout, and depicted by Eliopoulos most of the time wearing his signature top hat (where he often kept his important papers). We learn that Lincoln was once bullied and what troubled him most about being bullied was that the bully, one Jack Armstrong, cheated. He didn’t beat Lincoln fair and square. This irked Lincoln more than being beaten up and when he confronted Armstrong and his cronies with this fact and proposed to fight each and every one of them, they relented. “Sometimes, the hardest fights don’t reveal a winner – but they do reveal character.” This has to be one of my favorite lines in I am Abraham Lincoln because I think it is indeed the essence of who he was and what he was all about. He was destined for great things. 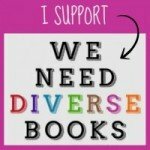 And coming this summer – I am Rosa Parks.